All trips last 2 hours. The prices below include use of the bike, guide/driver and sound system. Free ice, cups and use of cooler. Mon- Tuesday..............$299.99 **plus gratuity, traditionally $6.00 a person. Wed-Thursday.............$349.99 **plus gratuity, traditionally $6.00 a person. Friday to Sunday.........$389.99 **plus gratuity, traditionally $6.00 a person. All trips last 100 minutes. The prices below include use of the bike, guide/Captain & Mate and sound system. Free ice, cups and use of cooler. Mon- Tuesday..............$399.99 **plus gratuity, traditionally $6.00 a person. Wed-Thursday.............$459.99 **plus gratuity, traditionally $6.00 a person. Friday to Sunday.........$499.99 **plus gratuity, traditionally $6.00 a person. The secrets for planning the perfect bachelorette party. Being married will change their lives. The bachelorette or bachelor party is the first party of the wedding. It has to be special and it has to be F U N.
We are the planning experts. Planning a fun experience is stressful and can be a lot of work. We are here to help you to create a memory that will last a life time. 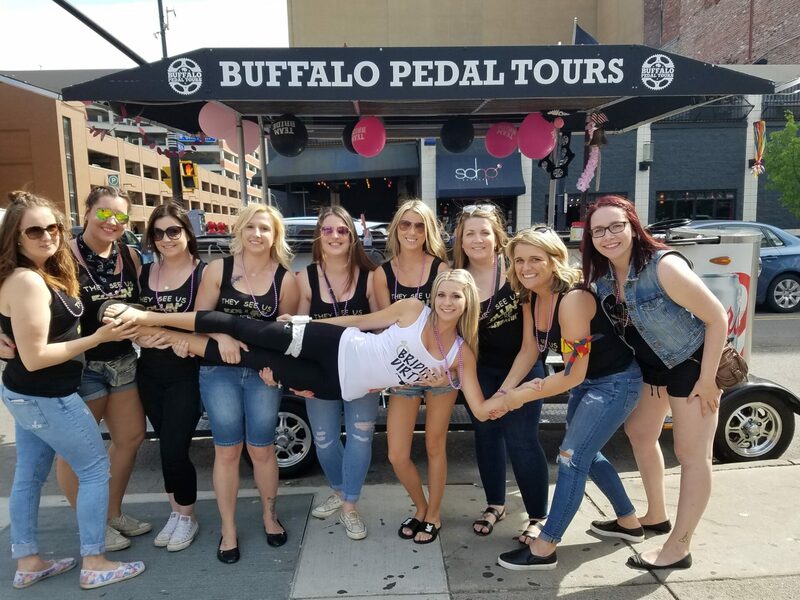 The crew at Buffalo Pedal Tours has assisted hundreds of organizers we are ready to help you get your party planned as easily as possible. From ideas about how to decorating your bike or boat, where to buy favors and t shirts, to which bars to visit(land tours) and games to play we will provide suggestions. Free souvenir pictures. Free cups, ice and use of cooler. On the boat we also offer karaoke. Our bikes and boats create a perfect combination of exercise with drinking. Pedal your calories away to the next bar! 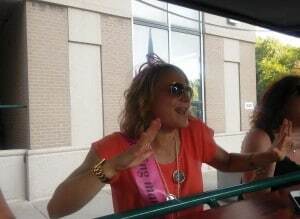 It is an epic bachelorette party! Be the first of your friends to break from the boring old take a limo to the bar routine by letting us take you all over our amazing city. With our tours you will be able to pick the route around downtown, play your own music, bring your own beer, wine, food, snacks, appetizers, candy. For couples, we have multiple bikes so we can offer a Jack and Jill party with the guys on one bike and the girls on the other doing separate routes but end at the same location, so you can go out together after! Spending time with your girls/boys on your night is a rite of passage and by doing your tour on our bike or boat you will have an unforgettable and memorable time. Visit our blog today for some ideas. On the topic of weddings we want to take a second to tell you about our awesome tours to show off Buffalo to your out of town guests when they come in town for the big day. Only 19 other cities in the country have these types of bikes or boats so for your out of town guests it is a rare occasion to get to go out on one. The experience they will have touring Buffalo will make them happy they came to town. Nothing makes us happier than showing off our beautiful city to out of town guests. We are now accepting 2019 reservations for all 6 bikes and 2 boats. We strongly recommend booking as soon as possible, especially is you want to book multiple bikes at the same time.